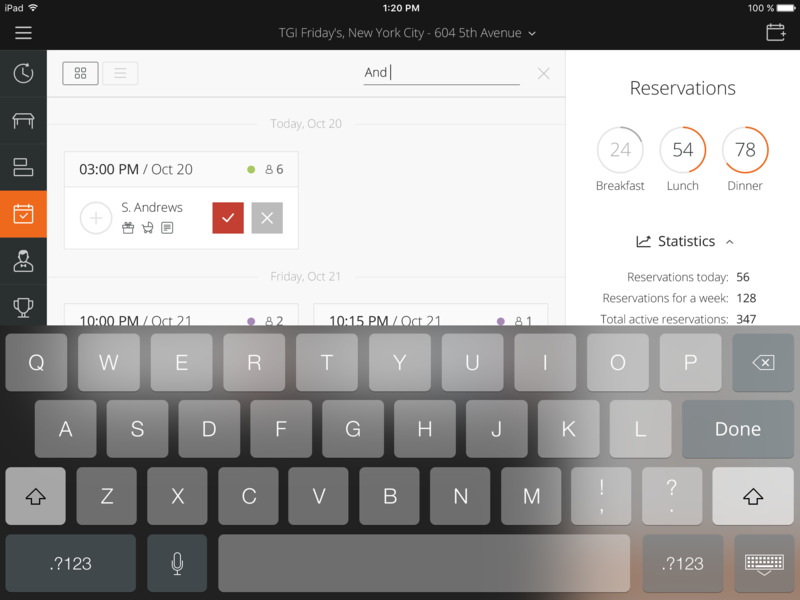 These release includes a message center, reservation search, reservation list view and more. Read more about these updates below. Now you can see and read all messages in one place; there's no need to search through individual reservations to find the one that has a message. In one click on the envelope on the side panel, you can read all new messages and reply to guests. New indicators on the side panel show the number of reservations in each session. You can also track the progress to see the restaurant's expected utilization for the current day. Utilization is calculated as a percentage of booked slots/covers to all available for a day. 100% means that the restaurant is fully booked throughout the day. 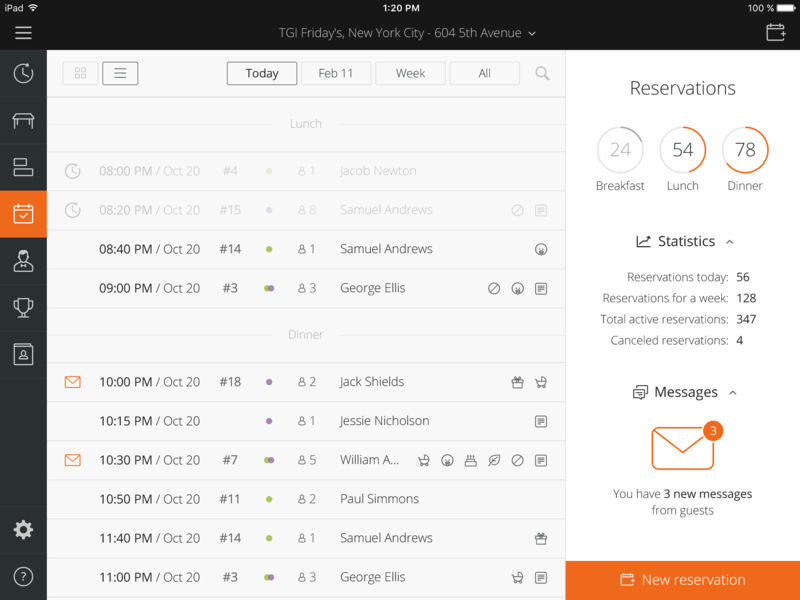 Now you can switch to a list view on the reservation page. 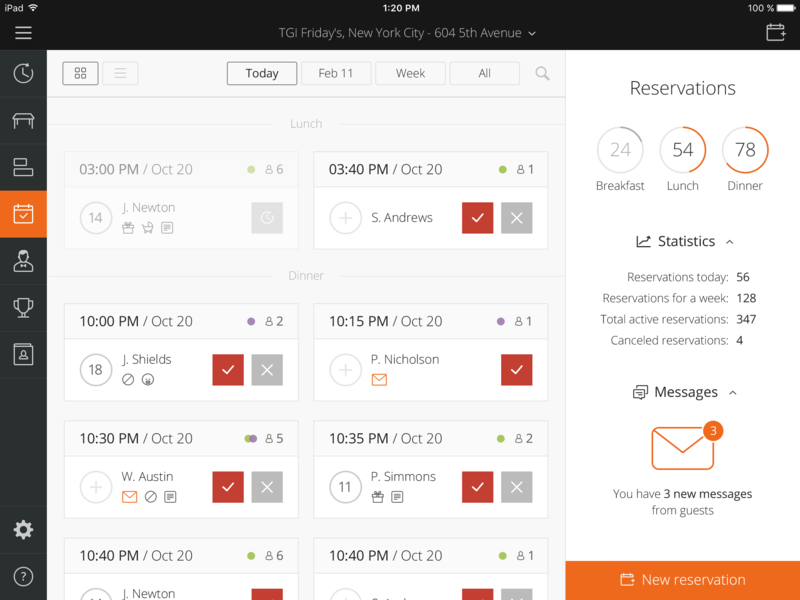 Now a host can search for a reservation by name.